2016 New Aune T1se Tube USB DAC Headphone Amplifer. 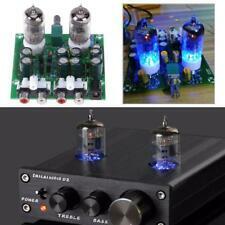 Product:T1se 24BIT TUBE USB DAC. NEW The AuneT1se is a visually stunning, and well built 24-bit USB DAC and headphone amp capable of driving both demanding and low impedance headphones. 5F1 Class A tube circuitry using only top quality components: Sprague Atom and F&T filter capacitors, SoZo coupling capacitors, Carbon Comp Resistors. Tweed over handcrafted finger joined 3/4" pine cabinet with Oxblood grill cloth made in the USA. GTGrove Tubes (MFG). (2) Tubes Used. Brand Unbranded MPN Does Not Apply UPC Does not apply. 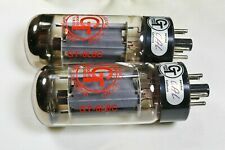 Pair Of DUMONT 6V6GTA Vacuum Tubes TESTED GOOD at 99% and 100 %. Good condition 4x10 inch speakers 1965 #Gibson #Ranger #Tube a#Amplifer. This is NOT a generic size case. This case will be CUSTOM MADE to fit a Friedman Dirty Shirley 40W 1x12 Tube Amplifer. ATA ~Glider ~ Case. Unique, New Design, ATA Case - 4 Casters! Pull & Lift Handles! 1948 OPERADIO 1A65. This manuals fits the radios listed above. TUBE AMPLIFIER SERVICE MANUAL. This is NOT a generic size case. 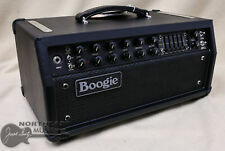 This case will be CUSTOM MADE to fit a Fender Super Champ X2 15W 1x10 Tube Amplifer. ATA ~Glider ~ Case. Unique, New Design, ATA Case - 4 Casters! Pull & Lift Handles! 10K 10000 OHM 1/2 WATT @ 10% ALLEN BRADLEY CARBON RESISTORS. 10K OHM 1/2 WATT ALLEN BRADLEY CARBON RESISTORS. Resistors,tube amplifier electronics Allen Bradley carbon resistors. Qty-2 10K 1/2 Watt 10% resistors.